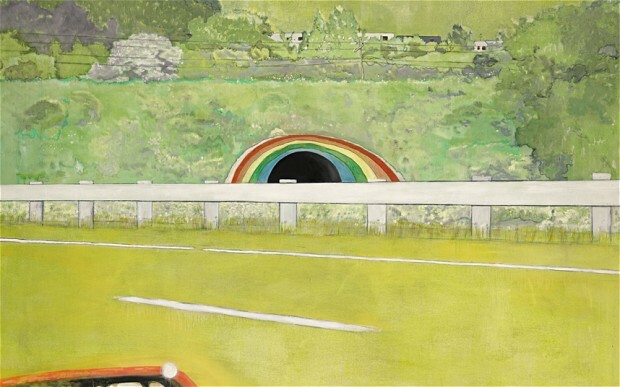 An oil landscape painting by Scottish Peter Doig depicting one of the few bright spots along one of Toronto’s busiest commuter roads is rumored to break Damien Hirst's British record for the highest price of a single work at auction. 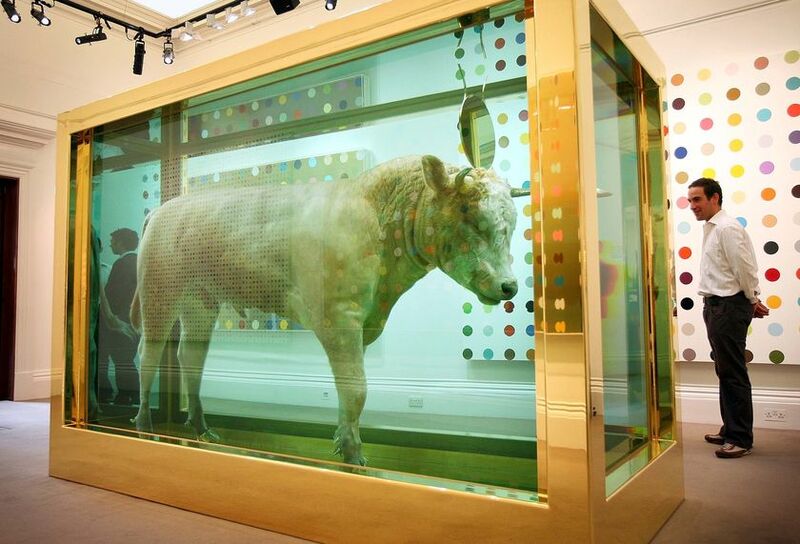 The world record price was set in during the Sotheby's 2008 sale "Beautiful Inside My Head Forever" in London when Golden Calf, a dead cow in formaldehyde, fetched £10.3 million ($17.3 million). Not only was the sale groundbreaking due to the record but Hirst had, causing much of stir, taking a full show, over 24o new works, directly to the auction house to be sold. Thereby bypassing any gallery or dealer's cut of the sale. The sale also exceeded all expectations and broke the record for a one-artist sale at $198 million. Hirst career was launched by Charles Saatchi out of the Young British Artists (YBAs) movement, along with the likes of Tracey Emin and Sarah Lucas, he won a Turner Prize in 1995 and turned down the British Council's invitation the be the UK's representative at the 1999 Venice Biennale. His ease in breaking industry-rules paired with business savvy has led him to become the richest living artist in the United Kingdom. 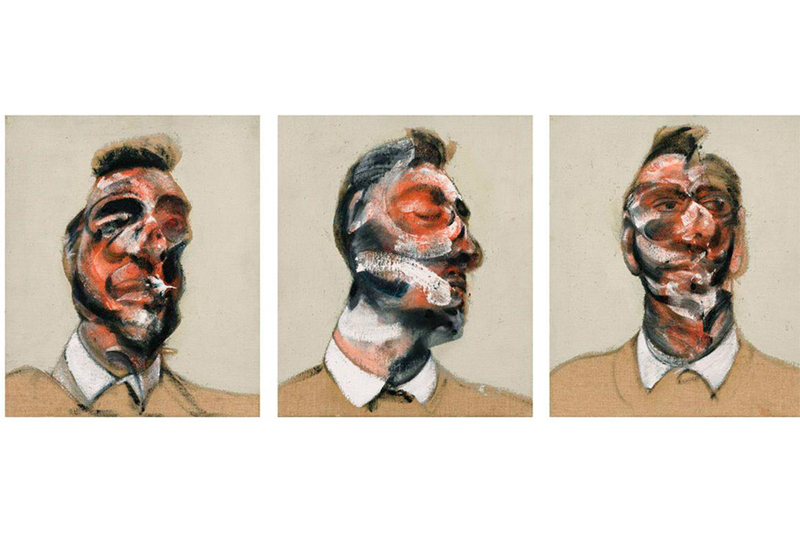 For a larger perspective it is worth mentioning that the much talked about Francis Bacon, Three Studies of George Dyer is also included in the sale at Sotheby's, London on June 30th and is estimated at £10-20m ($24,115,500 — 32,154,000). See more Peter Doig on Barnebys here. See more Damien Hirst on Barnebys here.